Is missing data an obstacle for you? 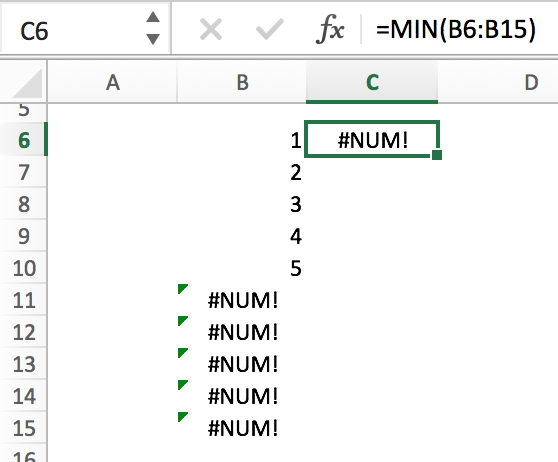 Here are some workarounds in Excel so you can move past it. Here’s an example. I’ve entered some numbers in a range, and then filled the rest of the range with =LOG(0) to create an error. Then I’ve tried to take the MIN()of B6:B15 in cell C6. This results in an error, of course. Here’s the solution in action on my example spreadsheet. I’m using OFFSET()to specify the first two parameters to LINEST(), defining the ranges C6:C10 and B6:B10. 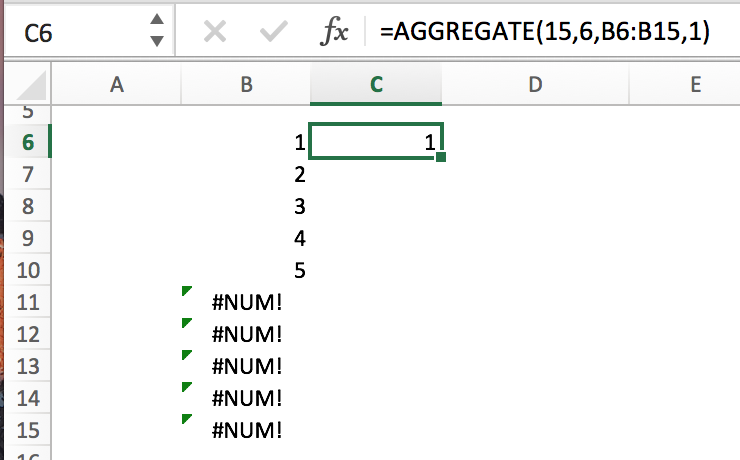 The caveat with OFFSET() is that, unlike explicitly setting a range with cell identifiers, Excel won’t adjust the range when you do things like deleting rows from the middle of it.